Our classes and workshops are taught by expert teachers with certified mindfulness training. 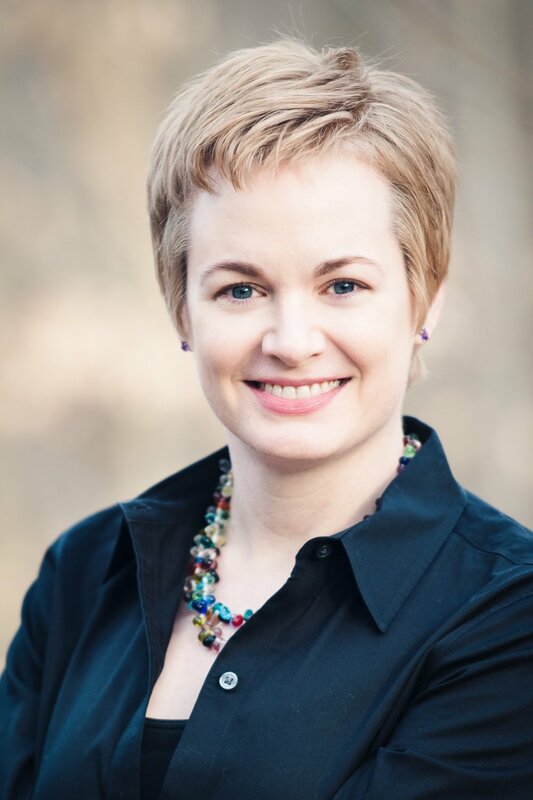 Laura Prochnow Phillips is the founder and owner of Evolve Integrative Health Coaching in Chapel Hill. She is an integrative health coach and a graduate of the Integrative Health Coaching Professional Training program at Duke Integrative Medicine. Laura includes guided meditations as part of her health, wellness, and lifestyle coaching sessions to assist clients in rooting their attention to the present moment, in reducing stress and anxiety, and in treating themselves and others with compassion and kindness; she also maintains a personal meditation practice. She is a Trained Teacher in mindful self-compassion through the Center for Mindful Self-Compassion and the University of California at San Diego Center for Mindfulness; she has been teaching MSC with Dr. Karen Bluth since 2015. Kate Murphy has been a visual artist and meditator for many years. She has developed a unique style of practicing mindful art which connects her work of patterns, repetition and color to the practice of mindful meditation. She first studied meditation and yoga with John Orr over 20 years ago. She completed the Duke Graduate MBSR course, the teacher training for Mindful Self Compassion and the training for the teen program Making Friends with Yourself. She is certified nationally as a teacher and yoga instructor. For 10 years she taught stress reduction painting classes at Duke Diet and Fitness Center, as well as working in a hospital arts program. Her current work as a middle school counselor continues to inform and deepen her interest in mindfulness for teens. Bree Kalb is a Psychotherapist with a practice in Carrboro. She integrates mindfulness, self compassion, and meditation instruction in her work with clients. Her approach as a therapist is heavily influenced by Tara Brach, Pema Chodron, Kristen Neff and Chris Germer. Bree learned to teach introductory mindfulness meditation at the Center for Koru Mindfulness. This approach was designed specifically for college students. With the full support of the Koru founders she adapted the content to be relevant to adults of all ages and has taught the class regularly since January 2014. She has practiced Mindfulness Meditation off and on for 40 years, becoming a serious and consistent practitioner about 10 years ago. She loves introducing mindfulness and meditation to people who think they can’t meditate or have never thought of meditation as an option, coaching and problem solving the inevitable snags we all encounter. Ron Cacioppe has been running mindfulness and meditation courses for the community, educational organizations and workplaces for over 25 years. Ron currently is living in Chapel Hill for a year and is from Perth, Western Australia. Ron’s style is informal and he brings fun into learning. He is very skilled at teaching mindfulness and meditation in a very practical, easy way to understand. He has recently developed simple ways for people to bring mindfulness into everyday activities so they can experience flow and enjoyment in action. Ron started the Zen group of Western Australia and did a PhD in applying eastern ideas and practices into western living. Francesca Morfesis has studied and practiced mindfulness meditation intensively both in the West and in Southeast Asia over the last 10 years. She has a deep appreciation for the power of presence and helping others connect with the freedom that is possible through mindfulness is one of her passions. Francesca graduated with a degree in Clinical Psychology in 2009, and since that time she has completed yoga teacher training, Mindfulness Training for Professionals through Duke Integrative Medicine, 2 years of training as an Interfaith Chaplain through the New York Zen Center for Contemplative Care, and Somatic Experiencing training. She is currently a practicing psychotherapist in Durham and a yoga instructor in Carrboro, and loves incorporating mindfulness and awareness of the nervous system into all her work. Macy Lawrence Ratliff received her Master’s Degree in Speech and Hearing Science from the University of Washington and her Bachelor’s Degree from Middlebury College in Psychology and Elementary Education. She is currently working on a Masters in Child and Adolescent Psychology:Prevention and Treatment at the University of Washington.Previous work experiences include serving as a rehab audiologist in a variety of settings for a range of populations. Currently, she is the primary instructor for the mindfulness portion of the Parent-Child Mindfulness Based Training study. She is certified in several programs that are the foundations of the study’s mindfulness training, including “Mindful Schools” and Amy Saltzman’s “A Still Quiet Place”. Macy is also certified in children’s yoga (Registered Yoga Training). She has many years of experience creating mindfulness and yoga programs for students spanning preschool through high school throughout the greater Seattle and Chapel Hill areas. In addition to her passion for her work with children, Macy loves to travel and be outdoors. Her passions include swimming, kayaking, cross country skiing and paddle boarding. Macy's website is MacyRatliffeyoga.com. Interested in teaching with Minded? Get in touch here.